Tail end of a Zoom Trick Worm as a spinnerbait trailer? Anyone ever do this? I have a handful of GP Trick Worms that are ate up. I cut the top end off of one of them and put the tail end on a spinnerbait to see what it looks like. Looks decent. I'm going to try it tomorrow. I use 2/3 of a trick worm or a stick worm as a trailer on a bladed jig pretty often, it works great. Has good bulk but a more subtle action. I re-purpose chewed up baits all the time for ned rigs and trailers. Never thought of using Trick Worm tails though. Sounds like a plan. I think I have used pretty much every kind of plastic as a trailer at one time or another. Straight tails or rat tails work great. I don't use the trick worm often cause I usually use them t-rigged, then when they blow out they go in the wacky bag, and usually they become a casualty at some point doing that even with a band. I've started splitting toads length wise and using that as trailer on larger spinnerbaits, working out great. And if you want to try something interesting someday, put two trick worm sections on your spinnerbait. 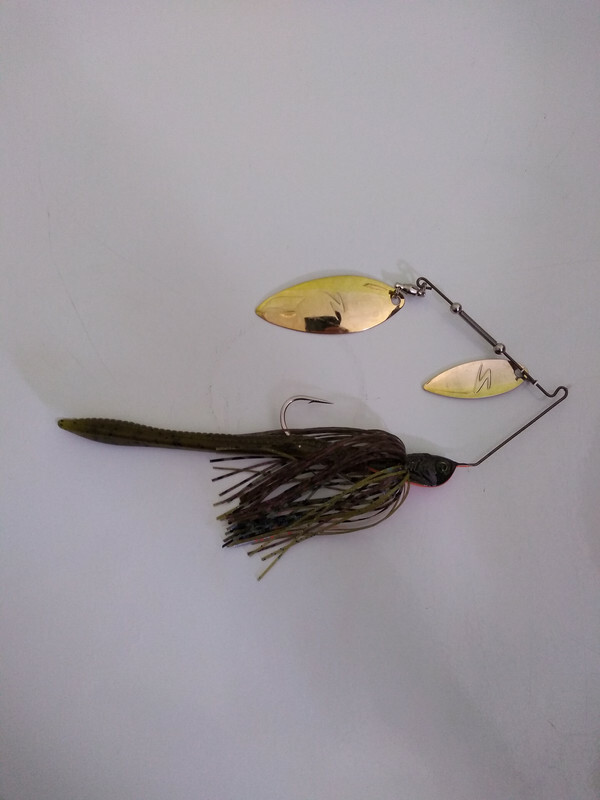 I really like the size and sound that I get out of a 1/4oz Cavitron buzzbait, but some days I want a little extra weight to help with distance or wind, so I will take 1-2" of an old Senko and thread it onto the hook to give it a little extra weight. It seems to work well. Looks good. I'd eat it. Going to give it a go now. They call that the "Spinnerworm". *Looks good ! ... Kill it while retrieving for just a second then start reeling again I believe will get you more bites by letting that Trick Worm tail work for you ... Do that a few times during each cast and report back ! When I was fishing in Mich/Wis I never knew anything about fishing for anything with plastic worms, except for a white worm. That was in the 70's - 80's. I don't remember the brand (could have been zoom), I just saw them in a sport shop and bought a bag. I used them for trailers on spinner baits and silver minnows while fishing for northern pike. Really helped improve the bite. Since I've been in Florida and got caught up in all this plastic baits, I forgot about the white worm trailer. Glad some one mentioned it. I've got to try this again.